United just announced they will be starting a daily, non-stop service between Houston (IAH) and Sydney (SYD) starting on January 18, 2018. The outbound flight, UA101, will depart Houston at 8:00 PM and arrive two days later at 6:30 AM local time. After five hours on the ground, the return flight, UA100, will depart Sydney at 11:50 AM local time and arrive back in Houston at 10:35 AM same day. Similar to its other ultra-longhaul flights, United will use a Boeing 787-9 Dreamliner for this route. The flight will cover a total distance of 8,596 miles, making it the second longest Dreamliner flight in the world. As a point of comparison, United also operates San Francisco to Singapore which covers 8,446 miles and soon, Los Angeles to Singapore, which will cover 8,770 miles. This makes United the US carrier with the most ultra-longhaul flights but is that necessarily a good thing? This is good news for those looking to go down under but what will the experience be like? Only time will tell for sure but for now, we can safely assume the experience will be similar to United’s current San Francisco to Singapore service. Flying time-wise, Houston to Sydney is scheduled for 17 hours and 30 minutes on the outbound and 15 hours and 45 minutes for the return. This flight will be slightly longer than the scheduled time for San Francisco to Singapore, which is blocked at 16 hours and 25 minutes on the outbound and 15 hours and 30 minutes on the return. 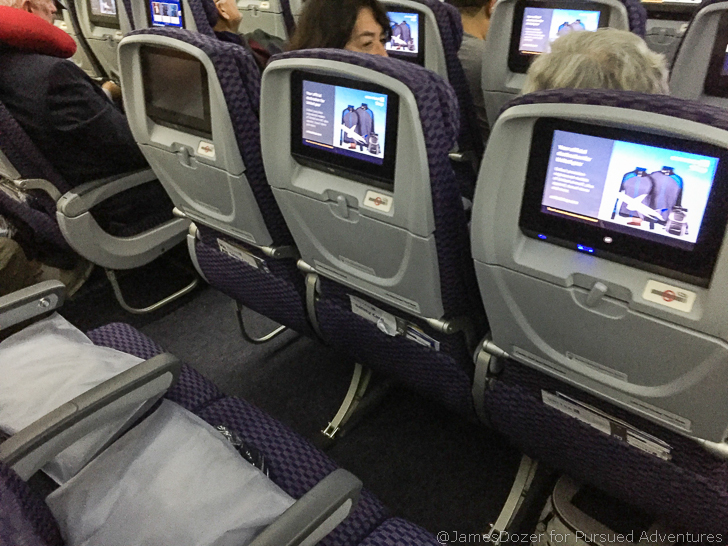 I recently flew United’s ultra-longhaul flight from San Francisco to Singapore in economy class. You can read my full review here. And click here for my recommendations on which seats are the best to pick on United’s Boeing 787 fleet. So what can you expect on this flight? For United “Polaris” Business Class passengers, you can expect 48 business class seats in a 2-2-2 configuration and not the new Polaris seats found on their Boeing 777-300ERs. These seats do go completely lie-flat but do not offer direct-aisle access for all passengers. For business class passengers, you can expect this. 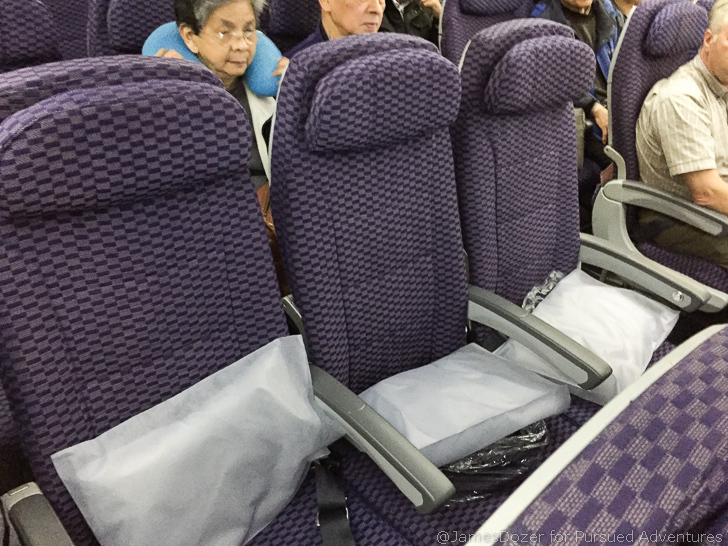 As for those of us in the back of the plane, you can expect 141 standard economy class seats with 17.3 inches of width, 32 inches of pitch and 3 inches of recline. 63 United Economy Plus seats will have 35 inches of pitch and 4 inches of recline. All economy class seats will be configured with 9 across in a 3-3-3 layout. 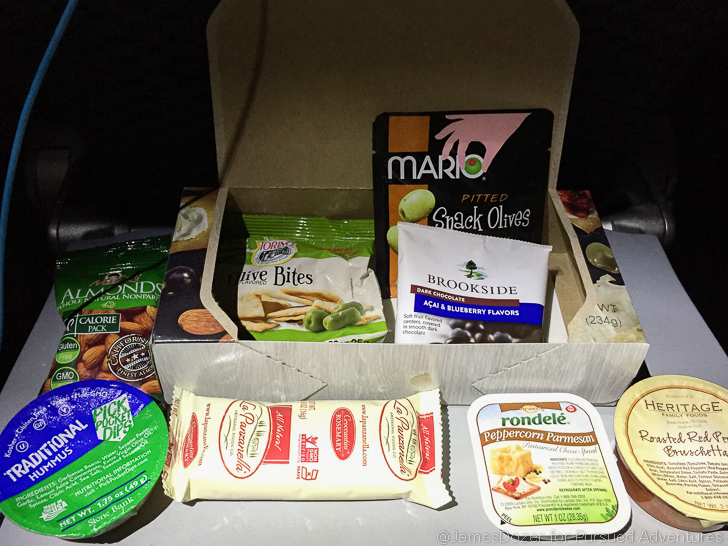 As for meals, you can expect two hot meals and a mid-flight snack. Dinner will consist of a chicken or pasta option and breakfast will consist of an eggs or pancakes option. Dinners will be served with a side appetizer, bread roll and dessert. Breakfasts will be served with a side of fruit and a bread roll. 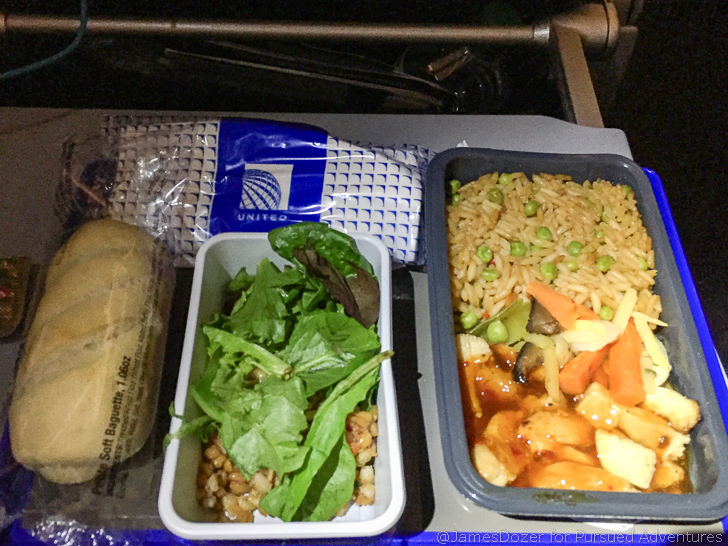 Here’s what a typical economy class dinner will look like. 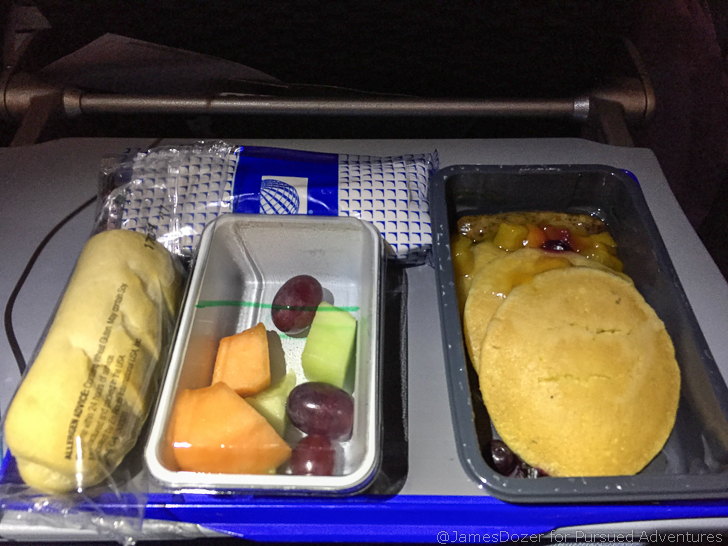 And here’s what a typical economy class breakfast will look like. 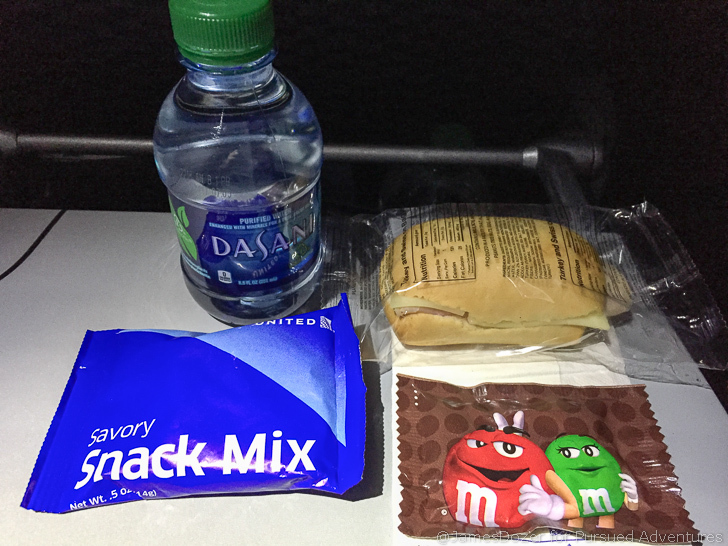 As for your mid-flight snack, you can expect a cold sandwich and some candy. 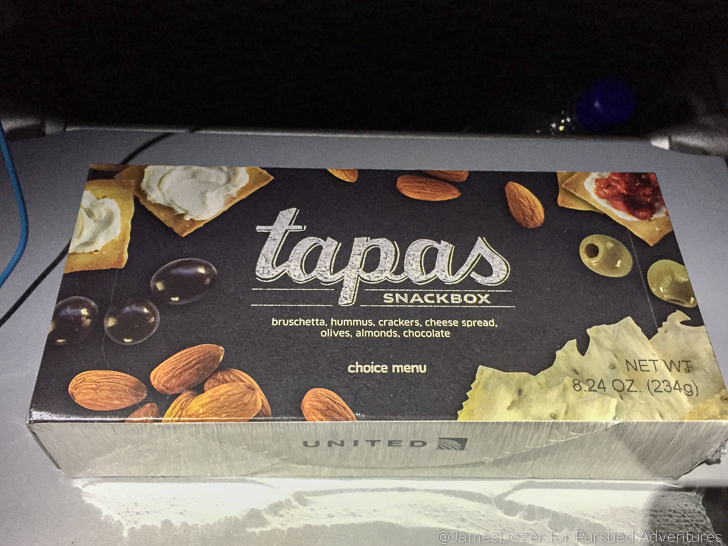 Tapas boxes will also be available for purchase. This new service to Sydney might be a welcomed addition to some passengers but I can’t say that I’m really looking forward to it. 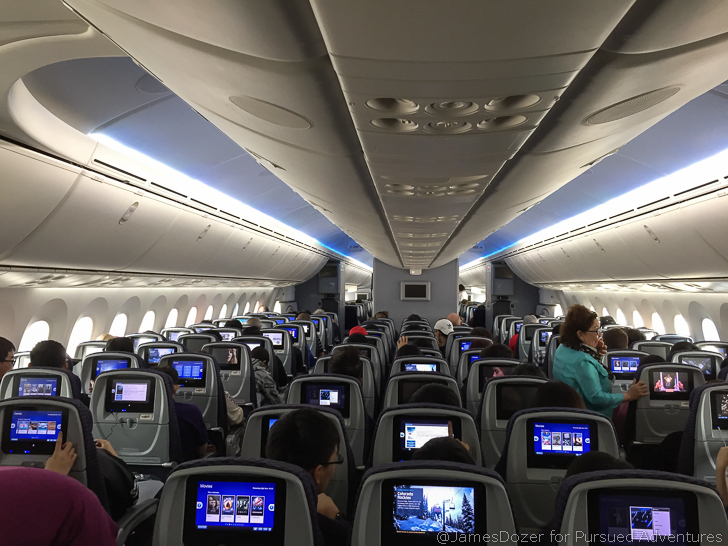 United’s Boeing 787-9s are not the best in terms of passenger comfort and the service can be hit or miss. Good job to United for starting all these ultra-longhaul flights but 17 hours is a really long time. For me, I think I would rather opt for a one-stop connection somewhere in Asia on an Asian carrier to get to Australia, even if it means a longer travel day. What are your guys’ thoughts on this new route announcement? Will you be taking it to get down under? Or would you rather take a one-stop connection somewhere in Asia? Please let me know your thoughts in the comments section below. Thanks for reading! Here are some related posts that you might enjoy.